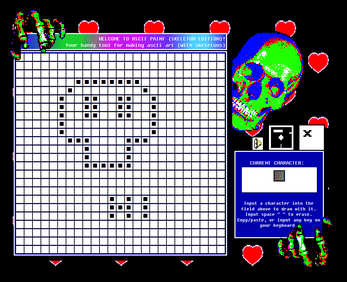 ASCII PAINT (SKELETON EDITION) is skeletonware that allows you to paint ASCII art by filling in a very accessible ASCII grid. 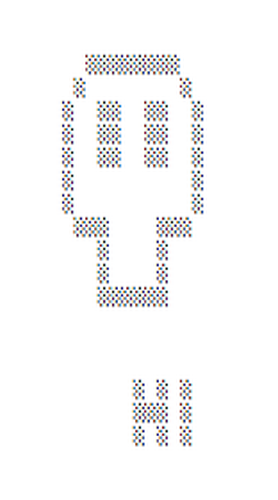 No prior knowledge of ASCII art is needed! Easily set what characters you would like to "draw" with, and create ASCII art quickly and efficiently within an unintuitive interface. It's as easy as copy & paste! 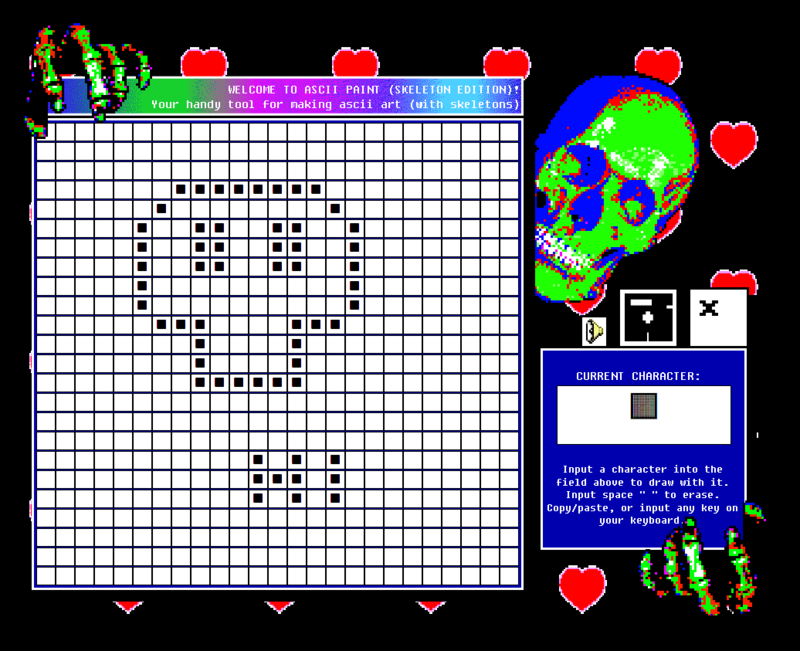 ASCII PAINT (SKELETON EDITION) includes a bonus skeleton theme for those that are into skeletons. There is no alternative to the skeleton theme either. You have to be into skeletons to really enjoy ASCII PAINT (SKELETON EDITION). * A very bad drum loop. * A save button for your ASCII art! cOOL APP. gRID LINES Are weiRD, maybe really thck.